Jesse sends this photo in response to my last post. 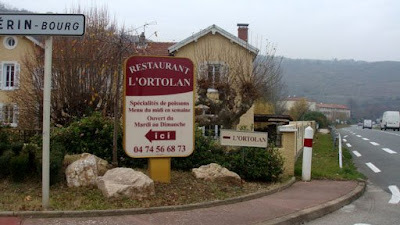 L'Ortolan doesn't actually serve ortolan. That would be illegal. I bet if Jesse knew the secret handshake he could get a face full of ortolan under his napkin.